Shalimar Villa is a versatile property on a Lurin hillside that can be rented as either a 1- or 2-bedroom, so it’s ideal for either one couple or two couples traveling together. 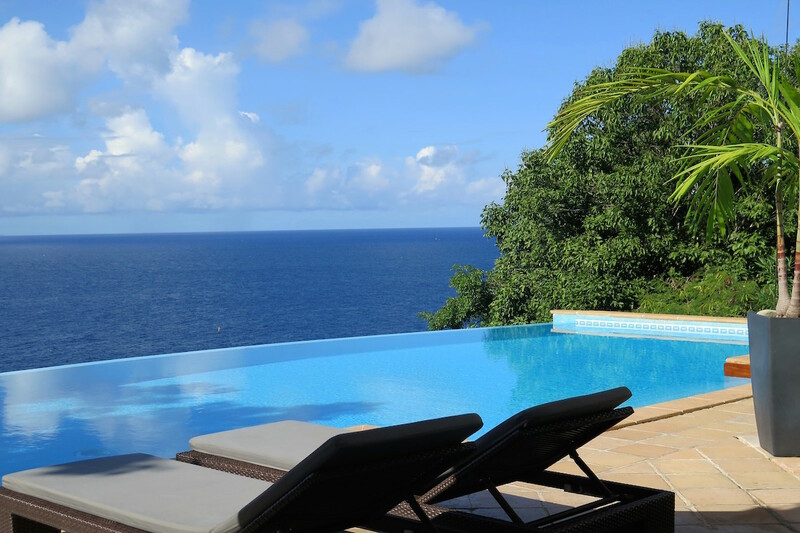 The villa’s location means there are great views of the sea, and it is also conveniently located to Gustavia and other attractions on St. Barts. Inside you’ll find a main pavilion that contains the fully equipped kitchen, a dining area, and a living area for lounging and watching TV or reading a book. Step outside and you’ll be able to take a refreshing dip in the pool or lounge on the terrace, all while soaking in the great view. Shalimar Villa, a very private home located hillside in Lurin, is all about location, location, location. This villa is close to Gustavia, the airports, and numerous shops and restaurants, plus some of the best beaches in the Caribbean. There’s also a great view of the sea and surrounding islands from the villa. Shalimar Villa can be rented as a one or two bedroom, depending on your travel needs. There is a main pavilion that includes the living area, dining area, and a fully equipped kitchen. Near the entrance is the guest bathroom and an outdoor shower. The living room opens to the terrace that surrounds the private pool, and there is a covered living area outside as well where you can relax or enjoy meals alfresco. Nearby activities: Boating, fishing, hiking, scuba/snorkeling, shopping/restaurants, swimming, tennis, and more.